Dan Graham's pavilion City of London Rococo (2012) has been placed near the entrance of Shanghai's Natural History Museum for the 2016 edition of Jing’an International Sculpture Project (JISP). Founded in 2010, the biennale presents contemporary public artworks across Jing’an District, the historical and cultural heart of Shanghai, and takes place this year from 20 September – 20 November. JISP 2016 is thematically based on the concepts of 'rebirth' and city', highlighting the issues facing urban development today. The project underpins the social contribution of public art and its positive effects on community and social responsibility. The 2016 edition of JISP brings together art works by 24 artists, including 14 Chinese artists and 10 international artists, as well as 45 organisations, 34 outdoor and 11 indoor, from over 17 countries. A highlight of JISP 2016 is a large-scale pavilion by American artist Dan Graham, whose work often blurs the lines between art and architecture. The work on display uses instruments of reflection – both visual and cognitive – to highlight the voyeuristic elements of design. 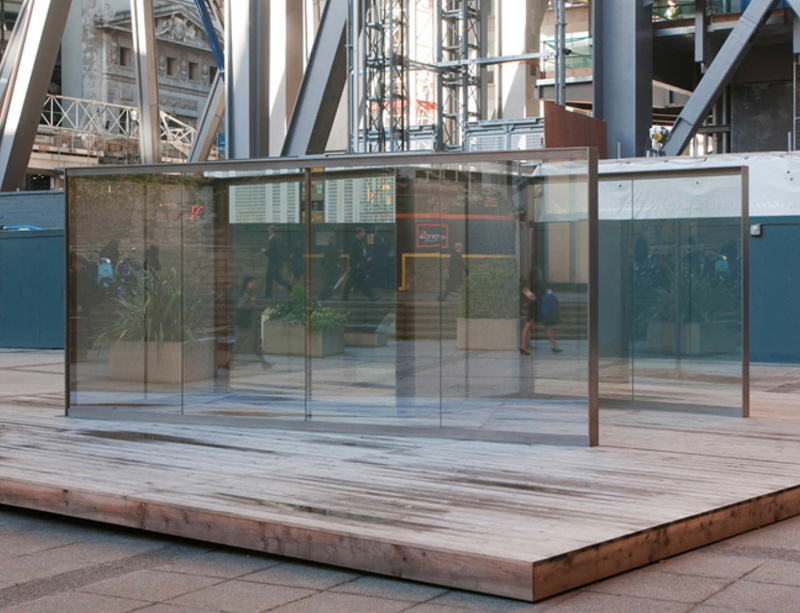 A hybrid by nature, the pavilion operates as a quasi-functional space and an art installation. By deploying reflective glass and mirrors, the traditional viewer of the work is turned into a spectator of a performance in which he or she is implicated in the complicated act of looking.